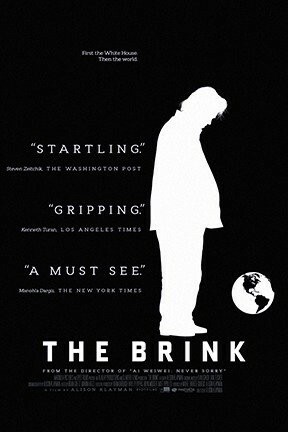 Alison Klayman’s fly-on-the-wall doc The Brink follows Bannon from 2017 to 2018, after Donald Trump, who lost the popular election by 2,864,974 votes, renamed him “Sloppy Steve” and booted him from the White House. Undeterred (and insisting he didn’t even like working in the White House anyway), Bannon embarks on a worldwide tour to, as he explains to Brexit bullshitter Nigel Farage, “knit together this populist/nationalist movement throughout the world.” “It’s a global revolt,” Bannon proclaims. "We’re on the right side of history." Bannon does his usual weird, gross schtick—dog whistles! conspiracy theories! wearing multiple button-up shirts at the same time!—but the most interesting things in The Brink are his unexpected gregariousness and his even-more-unexpected self-consciousness: He tries, and fails, to laugh off what people say about his face. Beneath Bannon’s cruel, backwards, bigoted bluster, Klayman finds glimpses of a guy who who knows he’s hated but just can’t stop being intensely hateable.